I was asked to make a pie for Thanksgiving. I didn't have a whole lot of time to fuss with a crust, filling, baking, etc., so I hunted for a quick no bake pie. Peanut butter and chocolate are always popular and many of the recipes I found used a commercial non dairy whipped topping. Some of my family members feel strongly about *fake* whipping cream and after looking at the ingredients, I'm not surprised. "Water, hydrogenated vegetable oil, high fructose corn syrup, corn syrup, skim milk, light cream and less than 2% sodium caseinate (a milk derivative), natural and artificial flavor, xanthan and guar gums, polysorbate 60, sorbitan monostearate and beta carotene"
Could I just use my own natural whipped topping? It's only heavy cream, some granulated sugar and vanilla extract. Turn the mixer back on high speed, and sprinkle in your granulated sugar and vanilla till you get "stiff peaks" where your whipped cream stands straight up. 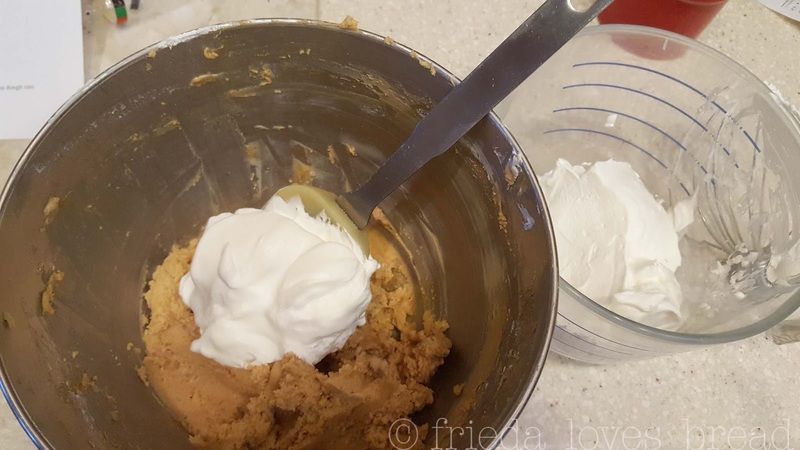 Transfer the whipped cream, gently, into another bowl while you mix the creamy peanut butter, cream cheese, and powdered sugar. This will help keep your mixture light and fluffy. If you vigorously stir the whipped cream into the peanut butter, you will deflate all that wonderful whipped air you put into your cream to make it light and mousse-like in texture. 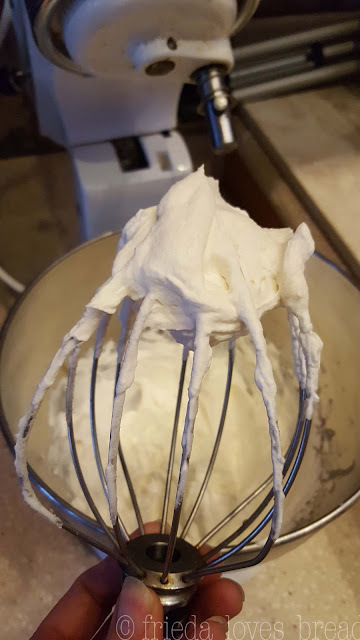 Add in the second third of whipped cream and "fold" till you don't see any white...then finish off with the last of the whipped cream and fold till the whipped cream is completely mixed in and you don't see any white. Use a spatula or an offset spatula to gently spread the filling into the prepared crust. What you see above is a Mock Chocolate Cookie Crust that takes minutes to mix and 10 minutes to bake, using a 9" glass pie plate. 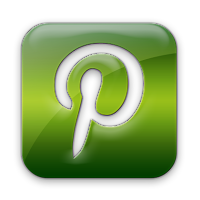 This is a great substitute for when you can't find chocolate cookies or wafers for a cream pie or cheesecake. Cover and chill the pie. 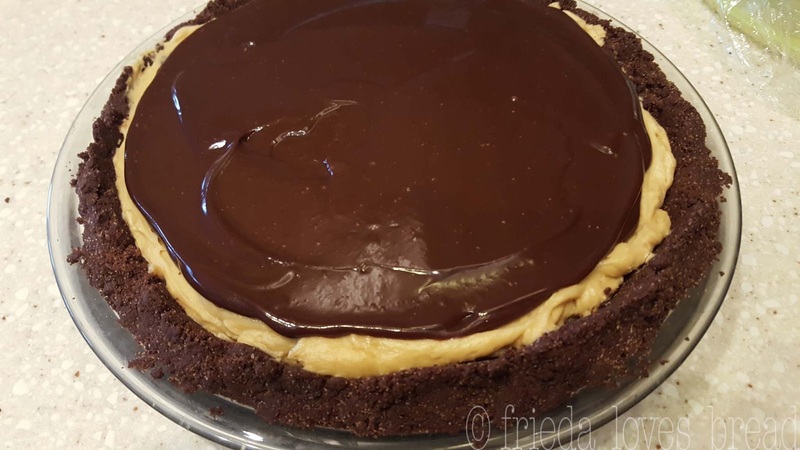 This no bake pie is GREAT on it's own, or, you can take it over the top, make it extra special with a chocolate ganache topping. Ganache is a fancy word for a mixture of cream and melted chocolate. 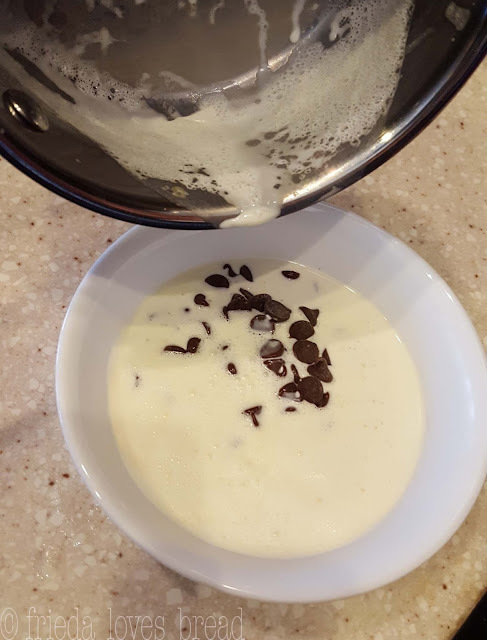 Heated heavy cream is poured over chopped semi-sweet chocolate or chips and allowed to sit for a minute. The hot cream melts the chocolate ~ stir until all the chocolate is melted and very creamy. Use a spatula or offset spatula to spread the warm topping onto the chilled pie. The homemade whipped cream worked just fine. It tasted incredible. The chocolate ganache topping added an extra special touch. "...tastes like a giant peanut butter cup!" one family exclaimed. I had to hurry and take a picture before it quickly disappeared. Which it did. This pie disappeared more quickly than the pumpkin pie. Or the pecan pie. So, if you need a quick and easy dessert that is sure to please, this will fit the bill. 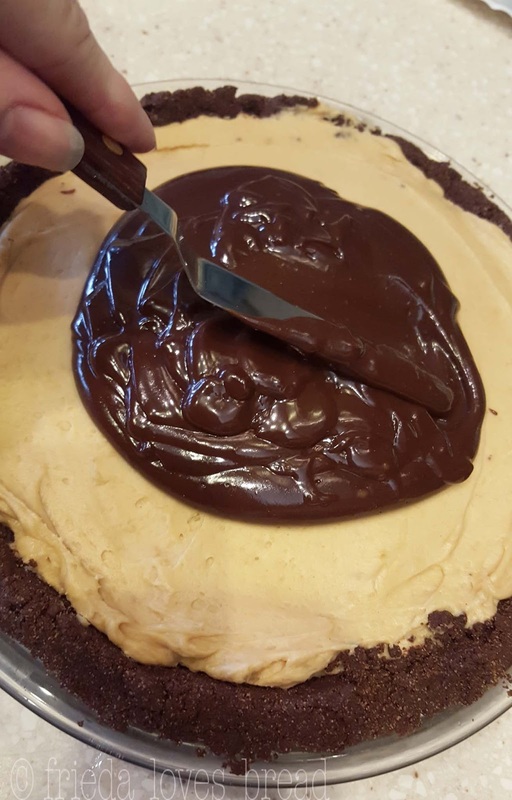 You can save time by buying a pre-made chocolate cookie crust, mix the filling and chill for several hours before serving. I froze a few of these pies whole and gifted them to family members as part of their Christmas gift. 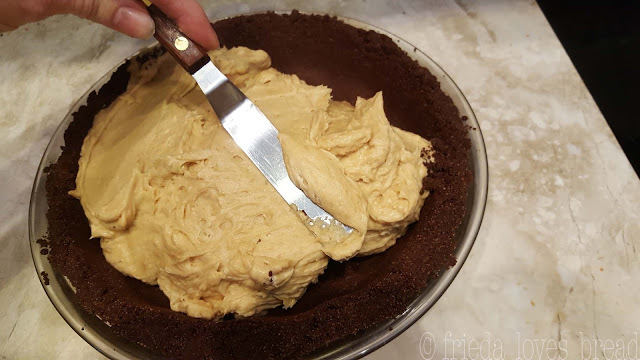 1 prepared chocolate cookie crust, 9"
-or- Mock Chocolate Cookie Crust recipe - A brilliant recipe if you can't find cookies/wafers! 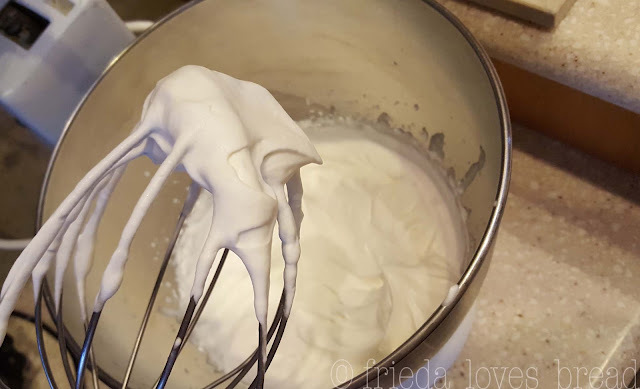 In an electric mixing bowl, whip heavy cream with whisk attachment until soft peaks form. While mixing, sprinkle granulated sugar until stiff peaks form. Add vanilla. Remove from mixing bowl and put into another bowl. Set aside. Clean mixing bowl. Mix together peanut butter, softened cream cheese, and powdered sugar. Using a spatula, fold in 1/3 of the whipped cream into peanut butter mixture, till completely mixed in. 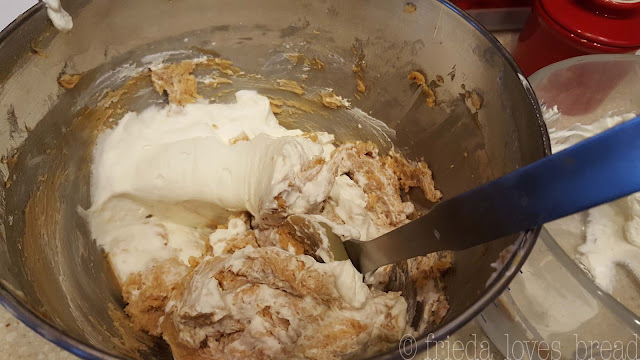 Fold in the next third of whipped cream, and then the last third, till you don't see any white whipped cream in your peanut butter mixture. Spread filling into prepared cookie crust. Chill for 4-6 hours in the fridge. To make ganache topping, put chocolate chips in a heat safe bowl. In a small saucepan, bring cream to a boil. Pour over chocolate chips, let sit for a minute. Cool slightly. 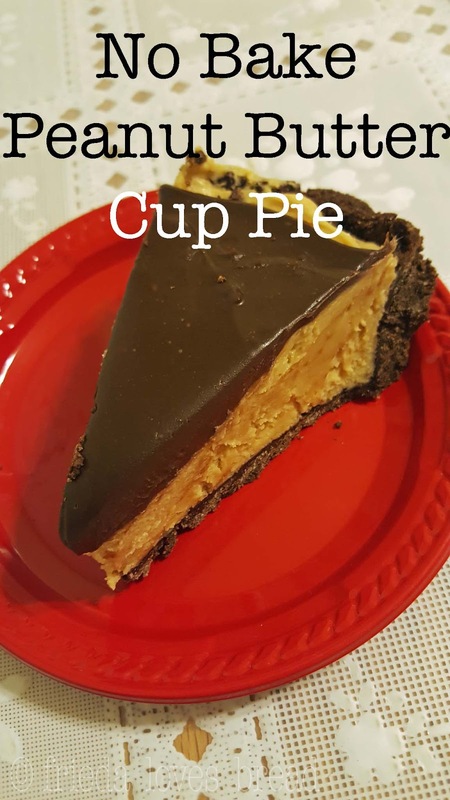 Pour over peanut butter pie. Refrigerate for 2-4 hours or until set. Can freeze up to 3 months if well wrapped.